People tend to prefer a particular wine color and this is all down to personal taste - or so we are told! Sometimes we are simply prejudiced – it is not unusual for men to drink red wine (and women white) and think it is feminine to drink white and unmanly to drink pink! However, such preconceived thoughts are a kind of color blindness. We are used to red wine being served at room temperature (or slightly chilled) and white always heavily chilled. Did you know? 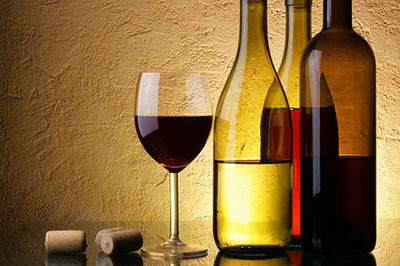 Drinking the red at room temperature means you taste more and drinking the white wine chilled means you taste less. (a) A chilled light red e.g. Beaujolais, Chianti, Pinot Noir etc. (b) A room temperature, slightly sweet, white wine e.g. Gewürztraminer, Riesling etc. Ideally, you should do this blindfolded, with a trusted companion presenting you with a variety of wines, including the above. You should aim to say if the wines are red or white – you might be surprised by the results! While taste differences exist between red and white wine, it is not as differentiated as people believe, there is definitely a wine color prejudice in many people’s eyes. Your palate can be educated – remember the first time you tasted beer, whiskey, brandy, gin etc.? The bitterness, the botanicals and the dryness – all go towards making an unpleasant first experience for many people. 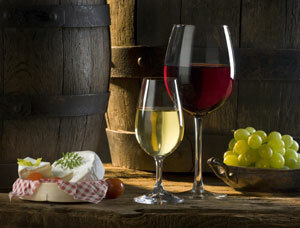 However, over time the palate can come to enjoy these drinks, and the same is true for wine. If you only drink one color of wine, keep trying wines of a different color, to find ones you like. Gradually, across time, you can become acclimatized and your palate develops – we encourage you to persevere. 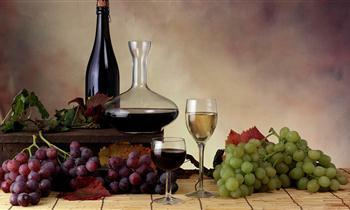 Being able to drink different colored wines enables you to take your wine enjoyment to new levels by pairing with many foods; drinking dessert wines; drinking seasonally (red in winter, white in spring/fall and rosé in summer); red wines complimenting strong savory food; crisp white wines complimenting chicken and fish dishes etc. There’s no time like the present to lose that color prejudice.